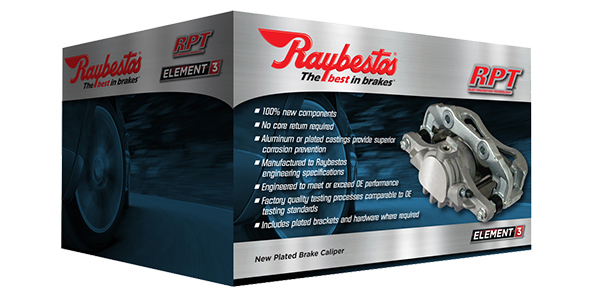 Raybestos has increased its caliper coverage with the addition of premium Element3 new plated brake calipers and Raybestos R-Line remanufactured plated caliper part numbers, it was announced today by Kristin Grons, marketing manager for Brake Parts Inc (BPI). 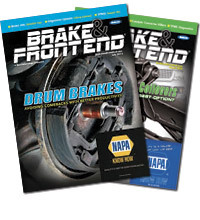 “We recently added even more caliper part numbers for popular domestic and import nameplate applications. This new coverage allows Raybestos to continue to make timely shipments and ensure our customers have the parts they need, when they need them,” said Grons. Raybestos new and remanufactured calipers are plated to provide peak performance in even the harshest conditions, according to Grons. With 100-percent new components, no core return and lower warranty rates, Raybestos Element3 new plated calipers provide hassle-free installation and optimal performance, BPI says. Designed and manufactured to strict Raybestos engineering specifications, these award-winning premium calipers offer original-equipment precision at a fraction of the cost of OE, according to the company. The aluminum or plated castings provide superior corrosion prevention and meet (ASTM B117) 96-hour salt spray corrosion resistance test standards. The line is ideal for high VIO and problem applications, and includes plated brackets, where required. Raybestos R-Line plated calipers are premium-quality, remanufactured calipers that function and fit like OE and deliver continued functionality and high-quality appearance through an extended life, says BPI. Proprietary RPT Rust Prevention Technology provides all-weather zinc plating comparable to OE. The calipers meet (ASTM B117) 96-hour salt spray corrosion resistance test standards and industry-leading processes and testing ensure reliable performance in harsh conditions. The line is engineered to ensure safe, leak-free operation and includes bracket, seals and bleeder screws.